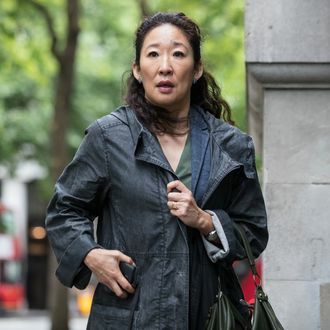 Sandra Oh and Phoebe Waller-Bridge’s Killing Eve is killing it days before it even premieres. The show, which stars Oh and Jodie Comer and was created by Fleabag’s Waller-Bridge, will air its first episode this Sunday, but BBC America announced today that it has already renewed the show for a second season. It’s a thriller “revolving around a psychopathic assassin and the woman charged with hunting her down.” We’re guessing Eve survives the first eight-episode season, otherwise they’d have to change the title.